He or she has been a member of the New Jersey Bar for at least five years. He or she has taken a specific number of legal education courses in the years prior to filing an application. He or she demonstrates substantial involvement in the preparation of litigated matters. He or she submits a list of attorneys and judges who will attest to the applicant’s character and ability. He or she passes a written examination covering various aspects of trial practice in their designated specialty. Certification is the highest level of evaluation for competency, experience, professionalism and ethics within a specific area of the law. When you hire a certified criminal defense attorney, you can be sure that your attorney is a specialist in their area of the law. Certification is an assurance that the attorney has the skills and experience to succeed in the high-pressure environment of a courtroom. 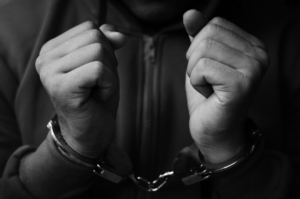 Do You Need a Criminal Trial Attorney? At the Law Offices of Joel Silberman, no case is too big or too small. Whether you have been issued a summons for Municipal Court or been charged with a first degree offense, you will receive the same aggressive and hard-hitting representation. Attorney Joel Silberman will defend you or your loved ones against all types of criminal charges including drug crimes, DUI, DWI, murder or manslaughter, theft and fraud, assault and domestic violence, weapons offenses, juvenile offenses, traffic violations and record expungement. Call 800-889-3129 or email joel@joelsilbermanlaw.com.